So I made a quick ‘n’ dirty version of the Joan blouse from the previous post, hoping it would be wearable, but I’d be able to tweak it before cutting into silk. 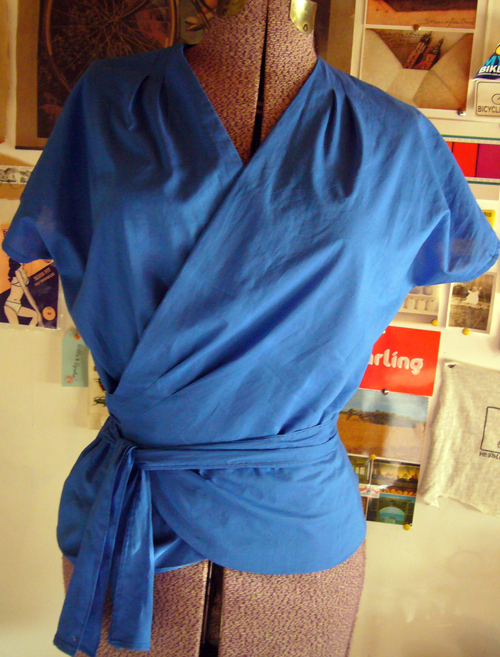 The fabric is an electric blue cotton voile. I was sooooo excited about this one. But I’m completely underwhelmed. Neither I or Headless Esme are as bodacious as Joan, which might be a contributing factor. The blue, too, looks a bit hospital scrubs or trainee ninja or something. I think it would be better in a print or less gaudy shade. Finally, the facings are insane – you’re instructed to face the peplum. It would be sooooo much easier and neater to just line it. In contrast, I’ve had this Advance pattern for years. 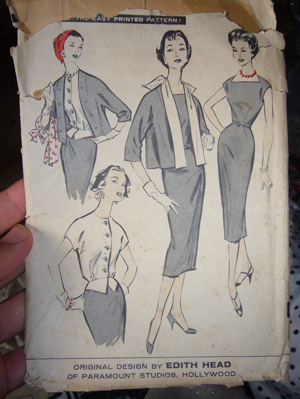 I bought it for the dress (still unmade) and turned my nose up at the jacket and blouse. 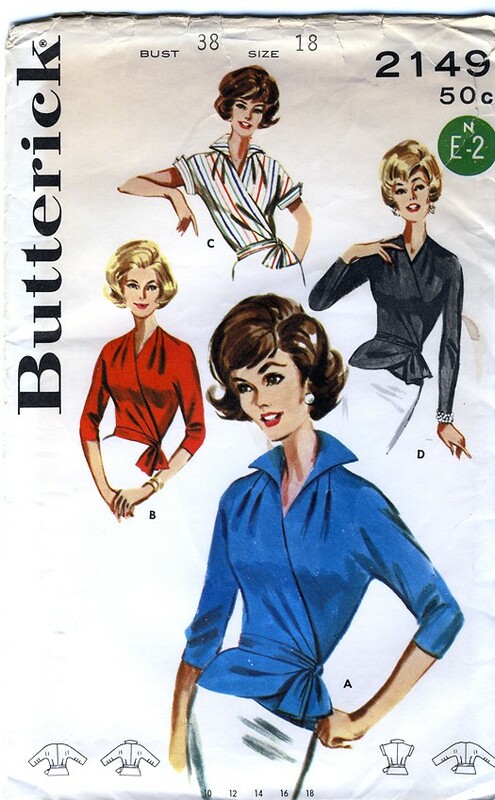 But I’ve been seeing so many nice 1940s style blouses online that suddenly the blouse looked less unappealing. And, a good match for my newly-made high waisted BRIGHT RED wide-leg trousers. 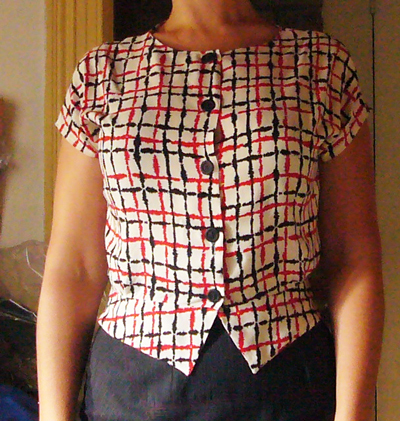 So I whipped one up quickly and a wee bit shoddily from a rayon remnant I’ve had for about as long as the pattern. And, surprise surprise, me likey! It’s got a bit of a 30s vibe to it. This one I’m definitely re-making. I have a vintage silk twill that will be perfect. I did widen the neck and shorten the sleeves a little, and will do so again. …and I pressed BUY as some kind of reflex. I swear, there was no brain activity involved; it was all spinal. I’m sure it’s the same pattern. Yeah yeah, I know, it’s hokey to be all slavish to Mad Men fashion, but too bad.